This was not my first time in Panama. 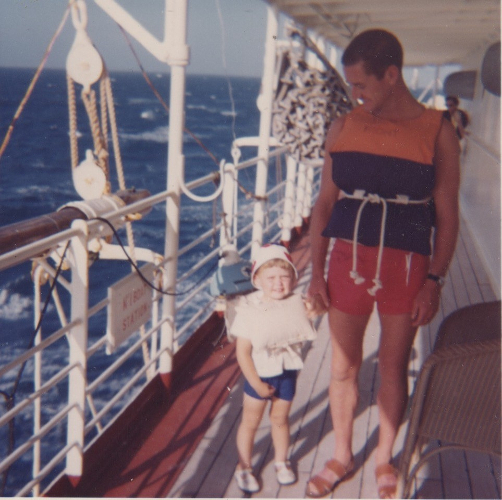 In September 1965 my parents were seeking their fortune on their way to a new life in the Golden State, onboard the cargo ship California Star. I was super excited to be on a boat for three weeks, watching for crocodiles along Panama's river banks. Of course I don't remember it, as I was only two, but the tales have been told so many times by my family, they are ingrained in me like actual memories. The canal was our passageway from the Old World to the new, from the Atlantic to the Pacific more than fifty years ago. Safe to say, Panama and I have both come a long way, and It was high time for a reunion. The canal and Panama are so tied together, it's impossible to speak of one without the other. 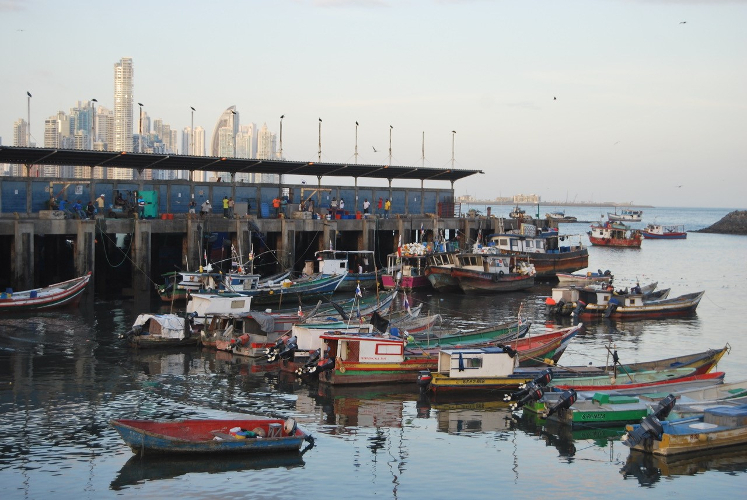 Panama exists because of the canal, and the canal is Panama's life blood. The dream of a quick passage between the two oceans dates back a mere five hundred years. The first European to lay eyes on the Pacific was the Spanish explorer Vasco Nunez de Balboa in September 1519 (exactly 446 years before I did.) In 1848 the first railroad was built across the Isthmus of Panama. That success sparked notions of grandeur in France, where they were celebrating the opening of the Suez Canal designed by Count Ferdinand de Lesseps. In 1880 Lesseps raised the money to purchase the skinny piece of land from Colombia with his eyes on building a sea level canal to connect the two great oceans. This was a disaster in the making as the two oceans have radically different tidal patterns with mountainous terrain in between. It took millions of dollars and thousands of lives before the French admitted defeat, and sold the land to the Americans for pennies on the dollar. When President Teddy Roosevelt committed the United States to the task of building a canal with sets of locks and a man-made lake, the Colombian government was bullied into granting the province of Panama its independence. A treaty was hastily drawn up that granted the US a ten mile wide Canal Zone that would be governed exclusively by the United States in perpetuity. On May 4th 1904, the Stars and Stripes were raised and construction began. A decade of grueling effort came to fruition on August 15th, 1915 when the SS Ancon made the very first crossing. Roosevelt's "Big Ditch" cut nine thousand miles off the journey for ships sailing from New York to San Francisco. It was and is, the greatest engineering feat of all time. The slim slice of tropical nation that grew up around the canal is now home to 3,600,000 people. It developed from a huge melting pot of cultures that came to work on the canal and carved their homes out of the surrounding jungle. The Americans were the ruling class and became known as "Zonians" for their privileged life within the Canal Zone. 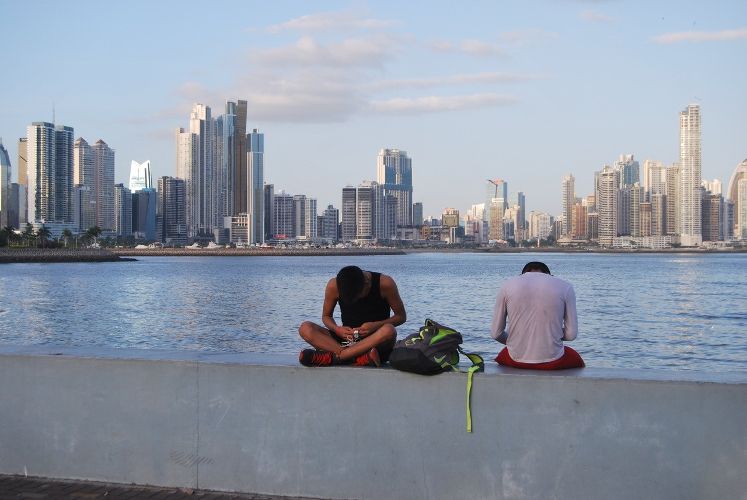 Panamanians have mixed feelings about their complex relationship with the US. Manuel Noriega had been on the US payroll since the early 1970's but when he installed himself as Dictator in Chief in 1981 all hell broke out as he threatened the balance of power over the canal. In 1989 President George H.W. Bush ordered a military invasion called "Operation Good Cause" to overthrow the ruthless dictator. Noriega was finally captured in a convent dressed as a nun, but the military action had killed over four thousand locals and left many more homeless. A Democratic government emerged from the rubble, and the US granted full responsibility for the canal to the Republic of Panama on New Years Eve, 1999. By all accounts, it was one hell of a party. 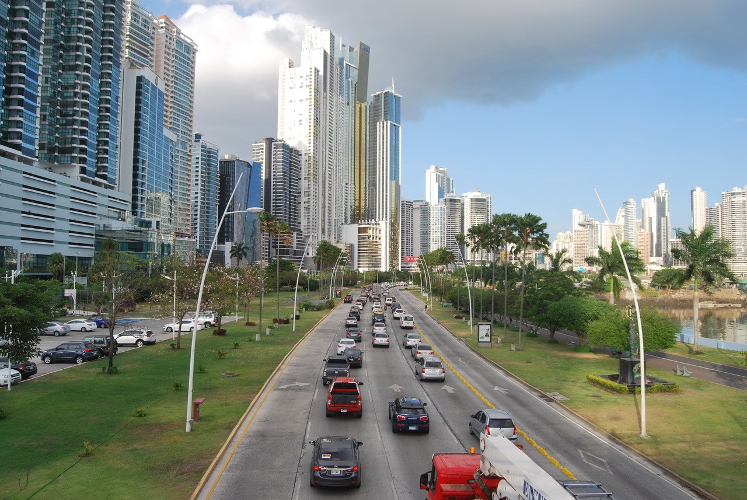 In the new millennium, Panama has blossomed like a huge tropical flower. In just the last ten years, a sea of glittering skyscrapers have shot up along the Pacific bay just passed the colonial jewel of Casco Antiguo. With a low cost of living and an easy going tax system, Panama has become a very desirable place for wealthy westerners to retire. Tourism has come late to the party, but is now making up for it in a very big way. 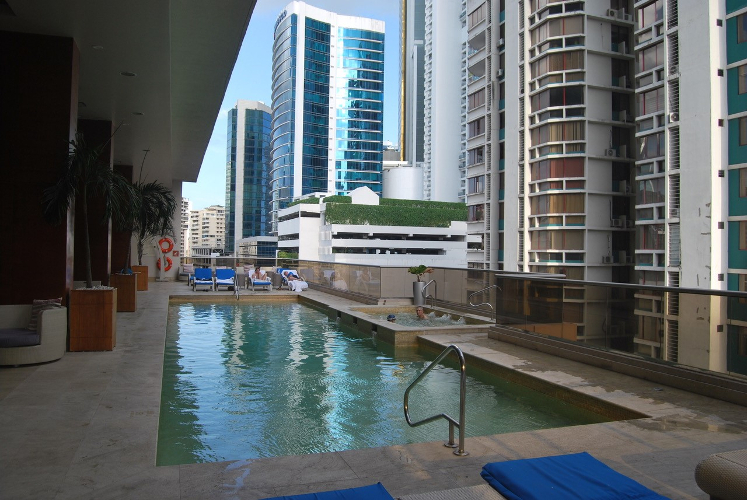 Panama City is a leading international banking center with advanced telecommunications and service sectors. Upscale hotels and restaurants have opened at a furious pace to keep up with the city's international tastes. We realized we were very far away from the days of Panama being a banana republic when we checked into the newly built Waldorf Astoria. 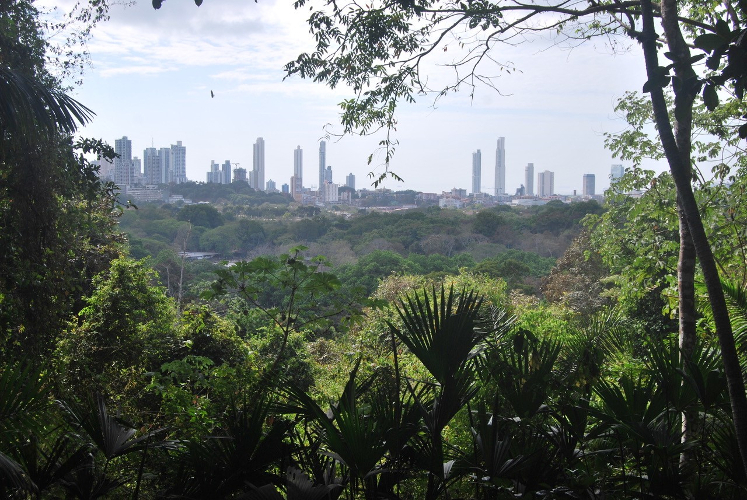 The dark recesses of the jungle are still visible in the distance, but the city and its future are dazzlingly bright. 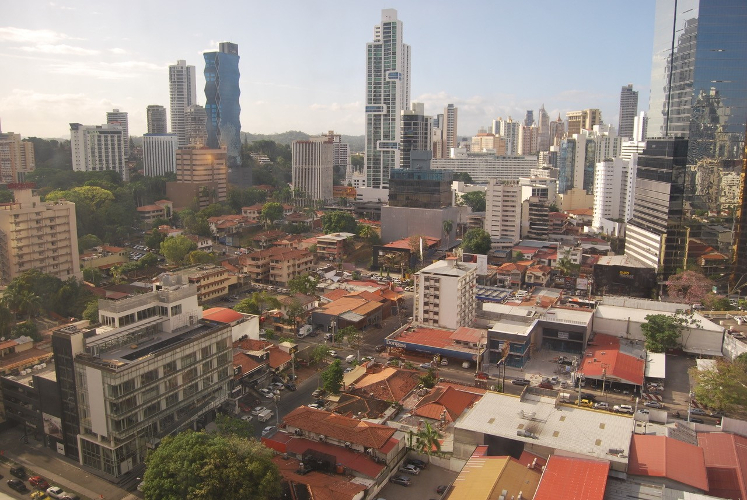 The neighborhoods in Panama City have familiar names like San Francisco, Santa Ana and Marbella. The Waldorf Astoria is in Marbella along with a multitude of residential glass towers dedicated to avoiding tax. The Trump Ocean Club Tower is here in pride of place. As the sun was setting, we walked down the breezy ocean front walk called Avenida Balboa watching the young and glamorous strut their stuff. As we rounded the bay, the sci-fi buildings were in the distance and the working class of Panama was suddenly in focus. The huge seafood market was buzzing with fishermen unloading their catch, vendors wheeling and dealing, and the local population lining up to eat. There is a stench of rotten fish in the air and big ugly sea vultures are perched on every vantage point. Thousands of meals are served here every day, but we were in search of something a bit more romantic. The charming old town was just past the fish market, looking glorious in the pink light of dusk. 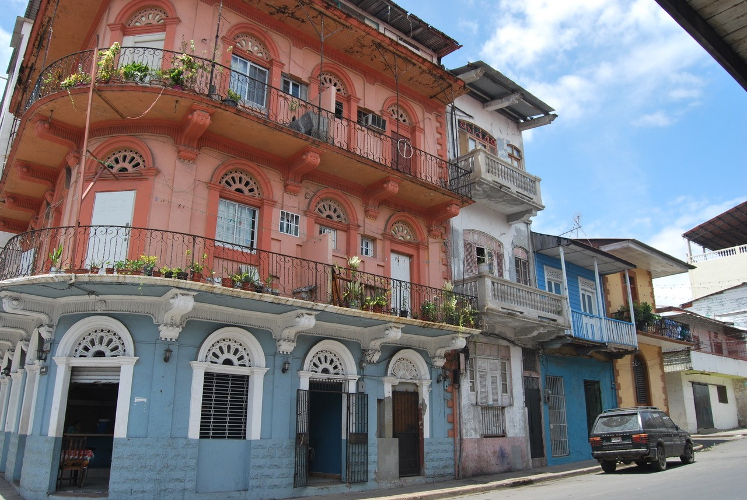 Casco Viejo is the oldest part of town, founded in 1673. Surrounded on three sides by the bay, these cobbled streets and graceful mansions are a UNESCO World Heritage site. Investors are quickly turning wacky crumbling Colonial structures into five star hotels, hip restaurants and trendy bars. The rapid pace of the redevelopment is evident on just about every corner. We found an inviting Spanish tapas restaurant with a terrace overlooking the twinkling lights of the harbor. The staff were young, gastro-hipsters that had come from Northern Spain to introduce their cuisine to this city with cash to spend. We ordered a half dozen plates, all of which were gorgeous. The best Spanish food I have ever eaten. It was so good, we came back for more on the second night. After dinner we strolled the pleasant sidewalks around the plazas and stopped at a few cozy bars for a nightcap. The next day we did some serious exploring, as taxis are cheap and everywhere you want them to be. 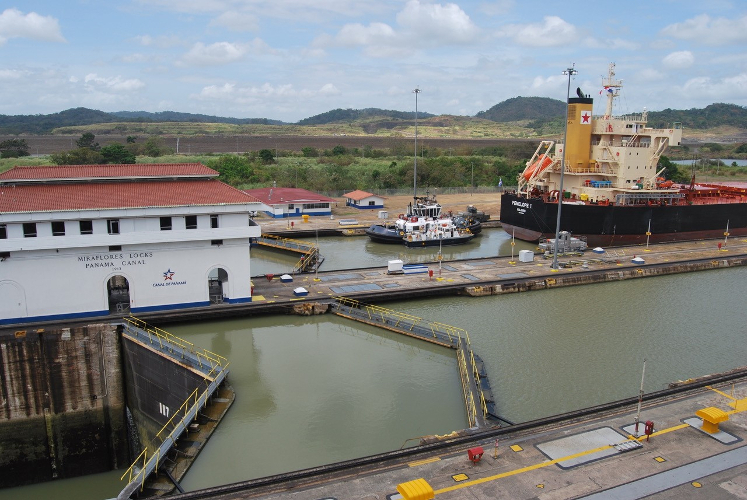 We started with a fascinating tour of the Mira Flores Locks in the Canal Zone. A recent addition to the Lock complex with a spectacular viewing platform. We watched a huge tanker as it slowly entered the lock, and marveled at the water gushing in to raise the enormous vessel to the next waterway. We learned that the cost of going through the canal is not exactly a smooth sail. Container ships pay $82 per container on top of the other fees. A ship loaded with 3800 containers would pay $321,446 plus $11,445 for the work of seven tug boats, $4,745 for ground assistants and $3,600 for ground wires. A cruise ship will pay $134 for every bed on board, so those great big Royal Caribbean's will be shelling out $335,000 for the privilege of watching the workings of The Big Ditch. I wonder what the California Star paid in 1965? We caught a taxi out to the Amador Causeway later in the day to check out the new Biomuseo designed by master architect Frank Ghery. This multi colored, multi faceted structure opened in 2014 and became an instant icon of the city. Its eight halls feature multi media exhibitions highlighting Panama's astonishing biodiversity. 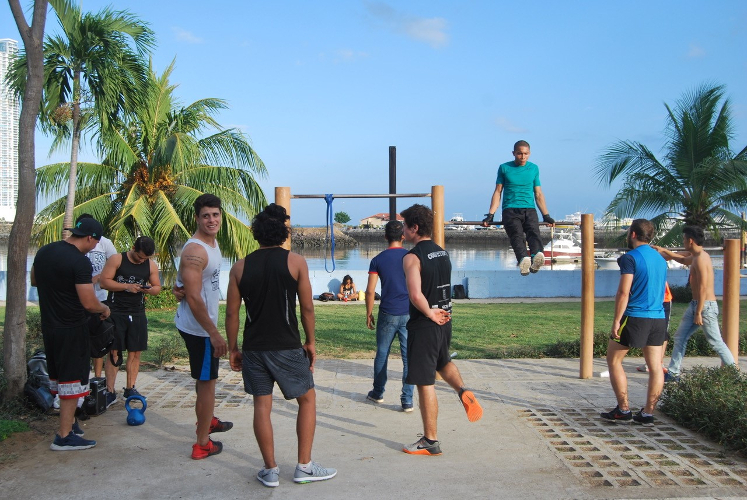 Its location on the scenic breakwater with the city on one side and The Bridge of The Americas and the entrance to the canal on the other is worth the visit. On the last day we went for a hike in the Gamboa Rainforest Reserve. A veritable Garden of Eden just outside the city. From certain vantage points the skyscrapers look like they are growing out of the jungle. There are monkeys and sloths in the trees, exotic birds darting through the air and gorgeous iridescent blue butterflies dancing around the ferns. A perfect way to end this remarkable trip.